It started with a personal interest in the magic of healthy flavourful foods, a desire to work in a warm and sunny greenhouse, a compulsion to promote ecological growing practices, and an aspiration to more efficiently grow better food. All this drew Ian Adamson to start experimenting with Microgreens in 1998. By 2004, he felt confident enough to start selling some of his Microgreens. Chef Brad Long was exceptionally supportive by giving him advice and support for enhancing quality and consistency. Ian determined that a state-of-the-art glass greenhouse would be the best way to reliably and inexpensively provide the best tasting Microgreens. 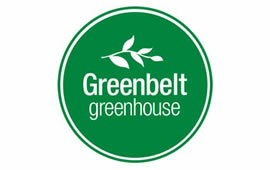 In 2010, Ian realized his vision of opening Greenbelt Greenhouse. Making use of his considerable experience, he immediately commenced producing and distributing Certified Organic Microgreens. With reliable help from his dedicated staff, they dependably supply many quality retailers and acclaimed chefs directly from Toronto’s Greenbelt. These customers, in turn, provide incredibly fresh Microgreens for the region’s most discriminating consumers. We set out to create an experience that aligned with the Greenbelt brand. This meant telling stories and connecting with users by creating relevant and engaging content. Working with the Greenbelt team we created content that was interactive, social, and kept users engaged. Highlights include: Building a fun-to-use, as well as functional ‘Recipe Builder’, Working with the fine folks at Whole Foods Market, Finding out that Microgreens are amazing for indigestion (it works, honest!). Because there's a better way to market your organization online, and we can help you do it. Web Development, Content Strategy, and Social Media to strengthen Greenbelt's online presence.